MPG-o-Matic 2008 Ford Fusion Review Summary: The Ford Fusion is a four door sedan that competes most closely with the Honda Accord, Toyota Camry, and Chevy Malibu. The Fusion slots between the Focus and Taurus in Ford’s line up. While the 2008 Fusion comes standard with a 2.3 liter four cylinder engine, our test car was fitted with the optional 3.0 liter V6 producing 221 horsepower and 205 foot pounds of torque. We found the V6 to provide a compelling combination of performance and fuel economy, when driven conscientiously. We easily exceeded the highway estimate for the powerful V6, achieving a respectable 31.2 MPG on the highway. Truth-be-told, we would have done much better around town, if we could have only resisted the temptation of the Fusion’s sweet V6. While the Fusion provides an average fuel economy display, it oddly lacks a real-time digital MPG readout. Since MPGomatic always rolls with the numbers, we plugged our trusty ScanGaugeII into the Fusion’s OBDII port to keep an eye on mileage in real time. Our test Fusion was loaded up with a handful of options, including ambient lighting, heated leather seats, and the sport appearance package. The optional 18-inch aluminum rims show off the Fusion’s standard equipment four-wheel disc brakes and look great. When it comes to standard equipment, the Fusion really shines, with integrated fog lamps, dual exhaust, automatic rear-seat releases, and a host of thoughtful touches. With the 60/40 fold down rear seat folded down, there’s plenty of cargo room. The Fusion’s iPod integration puts the car at the top of the short list for music lovers, with a concealed center console USB port and the Microsoft Sync audio system’s voice and steering wheel controls. With Sync, you can access individual tracks and all your playlists without ever moving your hands from the wheel or your eyes from the road. After a week of testing the Fusion, we walked away impressed. While the combination of comfort, convenience, and performance puts Ford’s family sedan in the thicket of competition, the Microsoft Sync system puts it over the top. I rent the Ford Fusion in Europe all the time for long trips. Driving hard and fast as is typical in Europe I consistently get 55+mpg (US) sometimes over 60mpg. This is with the 1.4l TDI engine which of course you cannot buy in the USA. Think about it. This car is more fuel efficient than the best hybrid. Funny thing is with gas prices about double the US price and mileage in Europe about double the US mileage you end up paying the same amount per mile. If you want clearer evidence of oil industry price fixing you’ll not find it. I have to agree with the test results. Not only does the 2008 2.3 liter automatic perform great, I’ve also shattered the estimated 20 city and 29 highway MPG. My last tank of gas produced a remarkable 32.8 MPG. 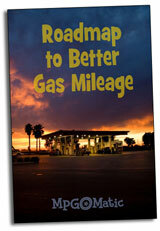 Granted it can vary from tank to tank, but the average over the 1st 10,000 miles is 30.8. That is city and freeway combinded. I average over 30 highway, usually 31 to 33mpg in my ’06 with 84k.